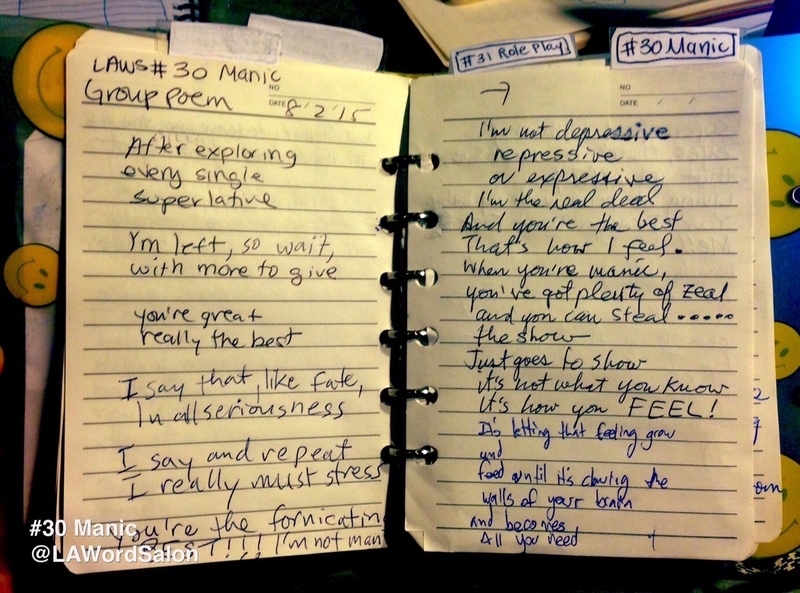 Without further ado we present to you the LAWS Group Poem from three weeks ago, LAWS #30 Manic. living at home with my baby. ——> The group poem for LAWS #31 Role Play is coming at your tomorrow. LAWS #32 Echo Park Rising doesn’t have a group poem because we focused on our two musical features for the festival: Wam Dingis and Mars de la Mancha. The theme for this week’s LAWS #33 is Infinite Space. Join the event! 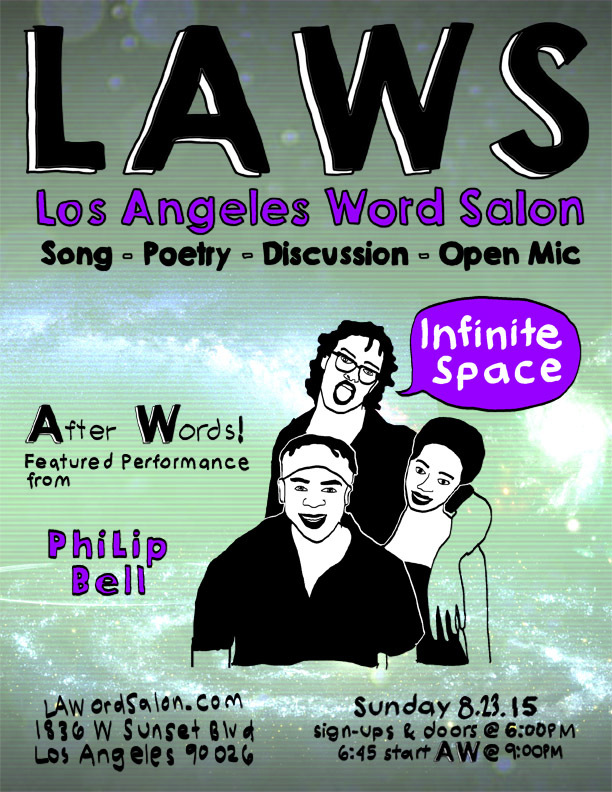 ← LAWS #33 “Infinite Space” with [A]fter [W]ords feature PhiLip Bell is this Sunday in Echo Park!